I want to make a different kind of potato salad this weekend. The kind that doesn’t come in a plastic container from the grocery store perhaps. 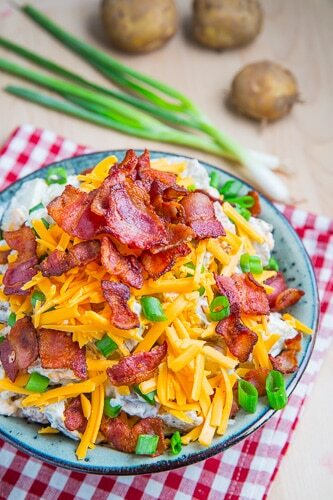 So I was poking around my Pinterest boards and found some tasty looking potato salad recipes I thought I’d share with you. Just in case you want to try a new recipe or ditch the store bought with me this year. Greek yogurt and lemons are keys to this recipe. Plus, you’ll love this girl’s writing style. She’s sort of me. If I could cook. What about some ranch dressing for something a little different? The name of her blog is Cake And Allie. Wonder if that’s a take on the 80’s tv show Kate And Allie? Am I showing my age? This one includes radishes. And you all know how I love my radishes. I did a photo shoot with them for gosh sake. It does use Miracle Whip though. If you’re one of those people who don’t love the tangy taste of Miracle Whip (although I don’t know why in the world you would not! ), I think you could substitute mayonnaise. 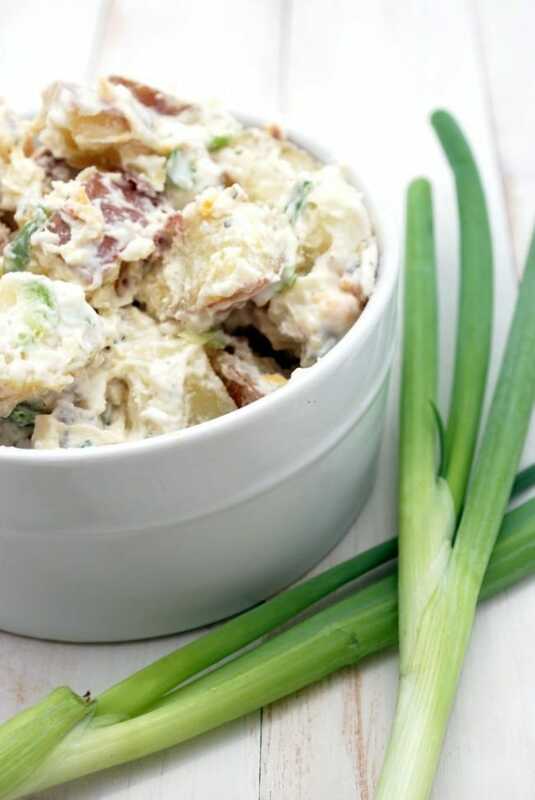 Bacon, cheddar, sour cream and green onions. All the goodies you would put on a baked potato. But slapped on potato salad!!! And just to cause a little controversy, here is a traditional Southern recipe. All you people south of the Mason Dixon Line can go ahead and start fighting about how it’s not as good as your mama’s recipe. Actually, I found so many “Southern” potato salad recipes that I don’t know if there really is a “traditional” one? So do you make your own potato salad? Or are you a store bought kind of girl? If you are looking for some fun and festive 4th Of July recipes, you should run over and check out my Last Minute 4th Of July Dessert Ideas. We always used to hound my mom to bring potato salad to all of the family get togethers. She would always make it sound like it was such a huge chore to make but she always did it. Finally, one year I decided to try and make it myself. I was so nervous since it always seemed to take her so long. It took 15 minutes. Not even kidding. She totally tricked us into thinking that she was slaving in the kitchen for us when in reality, she was whipping this salad up in no time then having coffee and watching All My Children 🙂 It is the best though and I’m super happy I know how to do it. My mom makes the best potato salad in the world. I have tried but can’t replicate it because she doesn’t use a recipe. LOVE all your recipe ideas. Maybe I’ll tackle one. Oh How I like home made potato salad . Don’t you just love the smell of potato salad? Sounds weird, but the smell is amazing! Now I’m getting hungry too! It’s a potato salad for breakfast kinda day! Glad to see you! Thank you for following! we do buy it frome the store. My mom’s secret is using Marzetti’s Slaw dressing instead of mayonaisse/mustard. Excellent! Oh, that sounds good! I love their slaw dressing, but I’ve only used it on slaw before. You are the first person I have seen whose mom used Marzetti’s. My mom also used it. I have looked for her recipe in all of her cards and numerous books. I finally gave up and made it from what I could remember. She used red potatoes, onions, celery, lots of hard boiled eggs and celery seed. I like Hellmans and she liked Miracle Whip. I think she added some to the Marzetti’s. I use a small amount of Hellmans. My kids say I have it awfully close to hers. You’ve shared some fun variations. 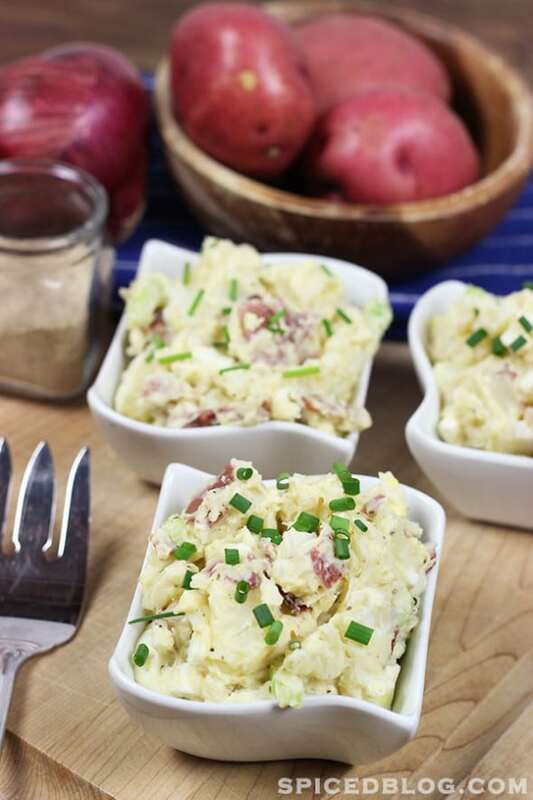 Chris and I love red-skinned potato salad but the girls like the traditional variety. I think I want to shake things up and try one of the ones you have listed. YUM! 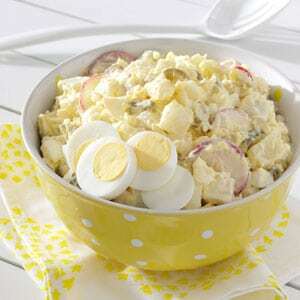 I do love me some potato salad, in fact it was one of the things I had cravings for when pregnant with one of the kids! These ALL look delicious. I definitely make my own potato salad. Store-bought is nasty stuff! I love classic American potato salad, but the lemon one and the red potato one with bacon that you posted sound really good! Yum! I was just at the grocery store craving potato salad!! Yum! I’m a sucker for potato salad in the summer. I’m going to try all five! 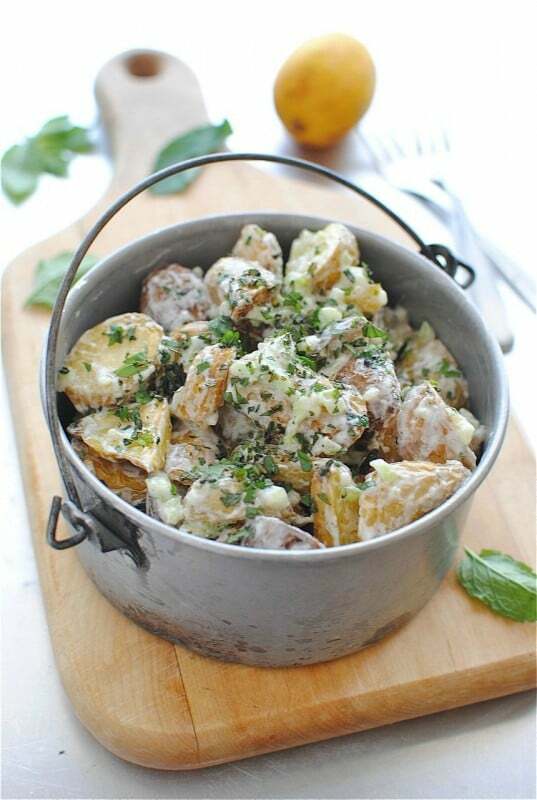 Great, Potato Salads looking so delicious. I will surely go through it.